Save the date! 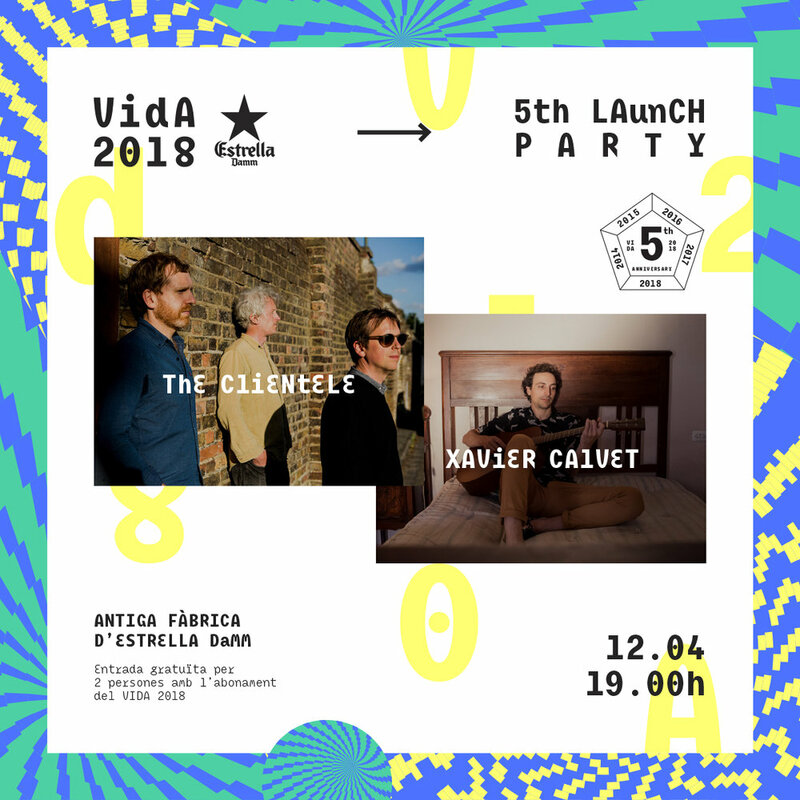 Next Thursday April 12th we will celebrate VIDA 2018 fifth launch party at 'Antiga Fàbrica d'Estrella Damm' (Roselló 515, Barcelona) with the performances of The Clientele and Xavier Calvet. Almost a decade after his last album, the glorious “Bonfires On The Heath” (2009), The Clientele went back the past year with a simple but elegant and charismatic “Music for the Age of Miracles” (2017). A fifth album where the british band explores a crystalline and classical pop of clear literary vocations. On the other hand, Xavier Calvet —also known for being the leader of the punk rock band Bullitt— will take advantage of the occasion to perform live his first solo album “Firebird” (2017). A luminous album that evokes to the 'road trip' and to the own landscapes of the Americana. The entrance, as usual, will be free with VIDA 2018 4-day pass, and you can invite a person to go with you! Buy here your VIDA 2018 4-day pass!